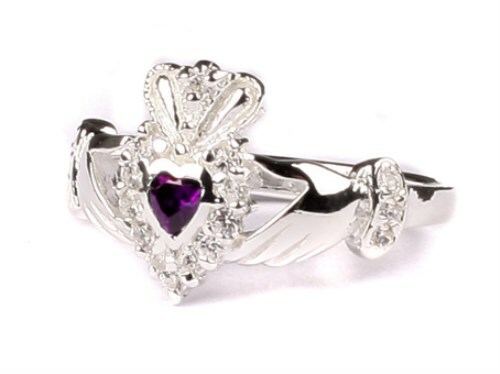 This is a stunning individually hand crafted Claddagh ring with a deep amethyst coloured stone as the heart. The main stone is surrounded by a cluster of small clear cubic zirconia which highlight the beautiful amethyst colour. The piece is complemented by 3 clear cubic zirconia stones on each side of the ring.